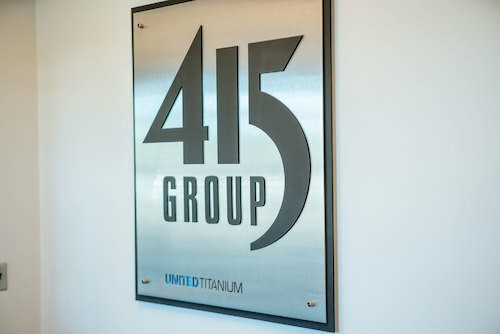 United Titanium has worked with 415 Group for accounting services for over two decades. When 415 Group decided to rebrand and relocate in 2017, they knew exactly who they wanted to make a new sign for their lobby. 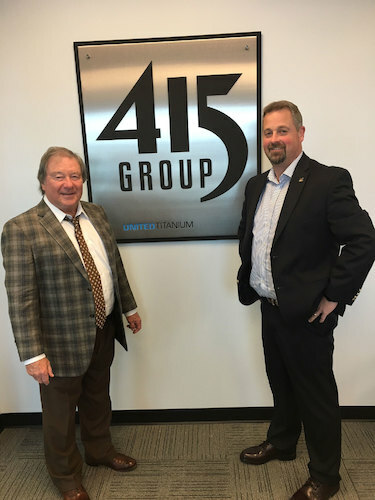 Rich Craig, partner at 415 Group, has known United Titanium President Mike Reardon and CFO Jeff Bigler since the early 90s. When Craig thought about their new lobby, it became clear they needed a unique and eye-catching sign—especially because they had just rebranded and created a new logo. Bigler, who oversaw the project at United Titanium, said the project required a lot of coordination from his team. 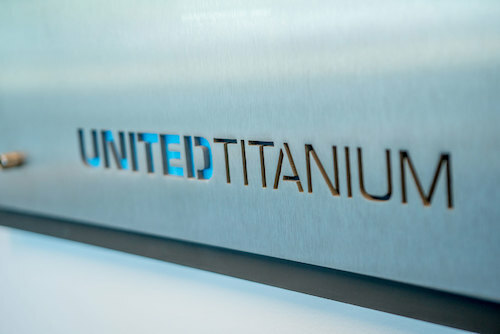 When every component was finished, United Titanium shipped them off to other 415 Group partners for secondary operations and then to assemble the finished product. 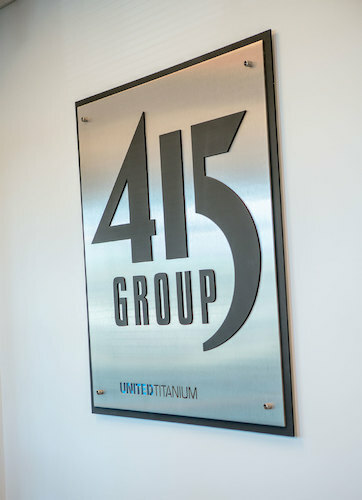 Today, the sign hangs proudly in the 415 Group lobby, and is a pride point for 415 Group employees as well as United Titanium.